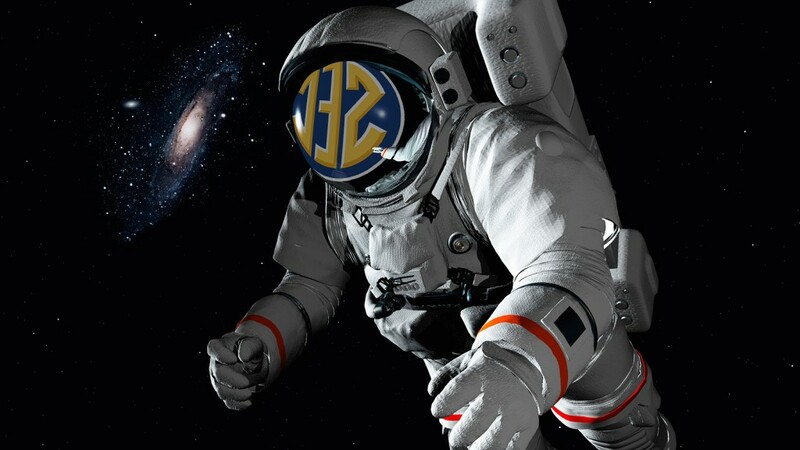 This season, the SEC will do what no other network has done, broadcast a football game in outer space. Astronaut Barry “Butch” Wilmore is scheduled to rocket into orbit on September 25 when he returns to the International Space Station (ISS) for approximately six-months. For his mission, he made a special request to NASA to air the SEC Network so he can watch the SEC Game of the Week and all things SEC. NASA is working to stream the SEC Network over the internet so Wilmore can stay connected with college football during his mission. NASA doesn’t have any official deal with the SEC Network, but all astronauts are able to make television, movie, and sports requests as forms of entertainment while aboard the ISS. Wilmore is a former fleet naval officer and pilot who has logged over 259 hours in space. He is also a former linebacker at Tennessee Tech who loves college football. He will certainly share this passion with his Russian cosmonaut crew members, Elena Serova and Alexander Samokutyaev of the Russian Federal Space Agency, who will be joining him in orbit. The launch is scheduled for September 25, 2014 from the Baikonur Cosmodrome in Kazakhstan aboard a Soyuz TMA-14M spacecraft.